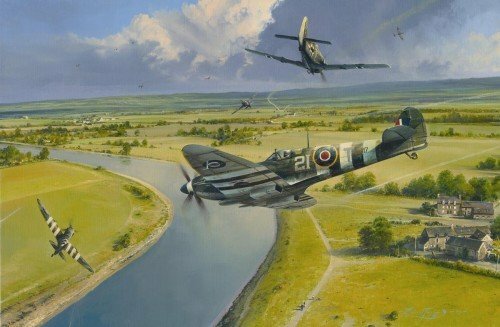 “Normandy Nemesis” by Robert Taylor. A Book and Print Portfolio. Spitfires of 443 Squadron RCAF tangle with a group of Fw190s whom they had encountered on a fighter sweep near Alençon, in southern Normandy. 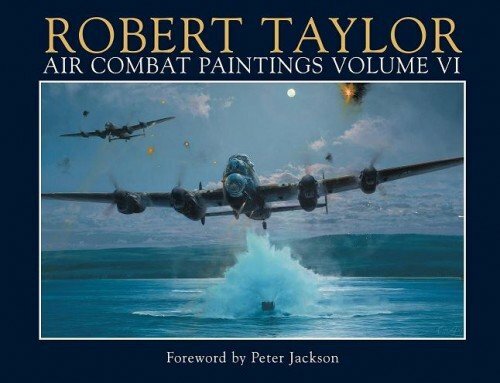 This outstanding print is issued with a matching numbered special edition copy of Robert Taylor’s book Air Combat Paintings Volume VI.